How do I check the result of the Free Demo Migration? Statuses of Knowledge base articles. How to check the result of the Demo Migration when migrating to Jira Service Desk? To check the result of the demo you need to download the JSON file that contains your tickets, contacts and other information. Then upload the JSON file to Jira Service Desk following this instruction. Note! Before starting Full Data Migration you need to manually delete the data migrated during the Demo to avoid duplicates. How to check the result of the Demo Migration when migrating to CSV? 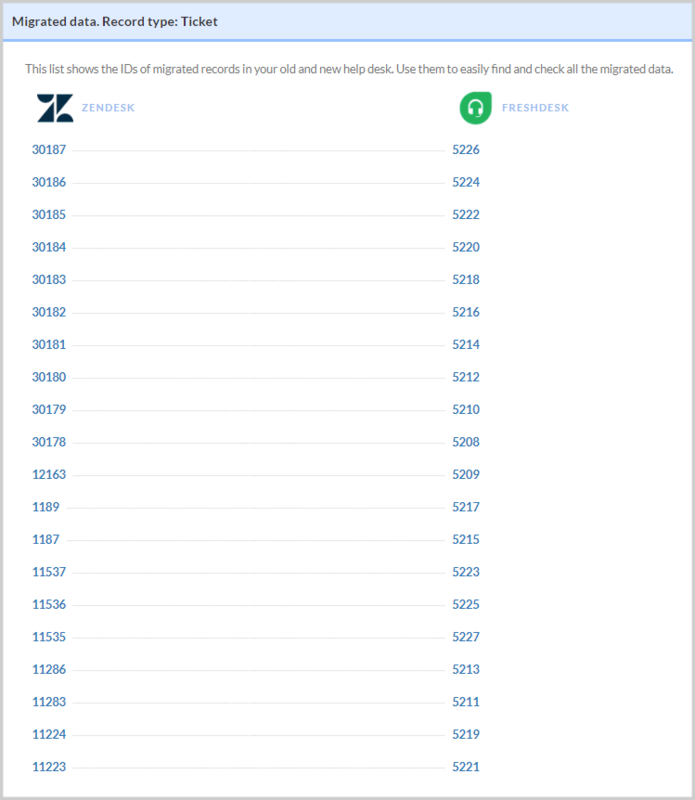 Unzip the archive and check your CSV files. How to check the result of the Demo when migrating to Intercom? Because Intercom does not allow importing tickets through its API, you can only migrate Groups, Agents, Organizations, and Customers. So, all you have to check is whether that data migrated correctly. What is a Free Demo Migration? 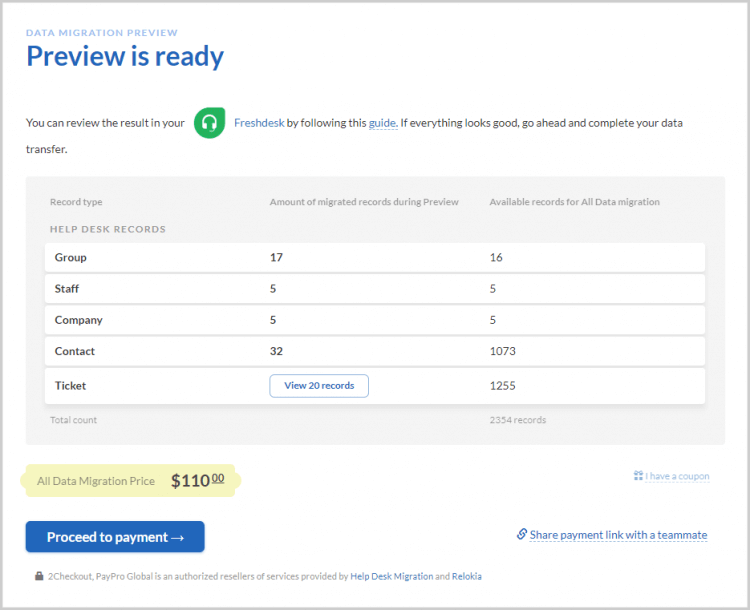 Demo Migration is a process when we transfer 20 Tickets with related records free of charge and estimate the cost of your Full Data Migration. This procedure allows you to understand how our service works and check the quality of data transition.